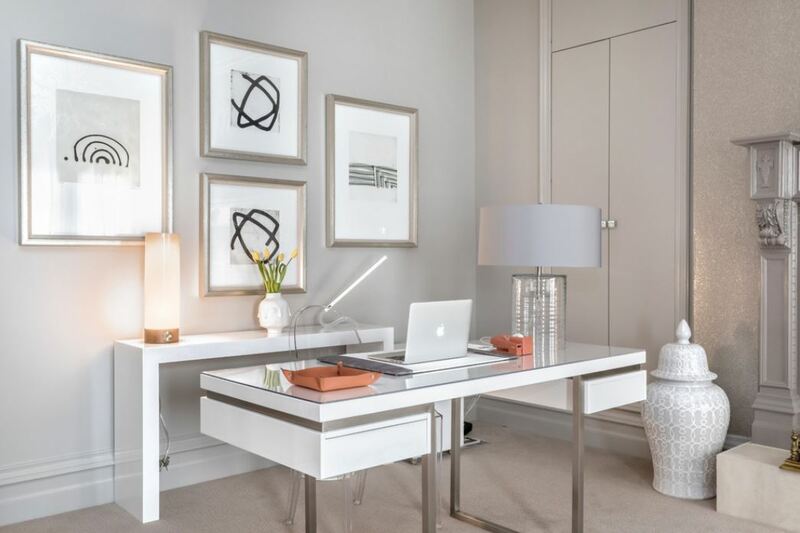 Discover smart home office ideas to create an efficient work space for yourself. Home office is a place to sit and work. 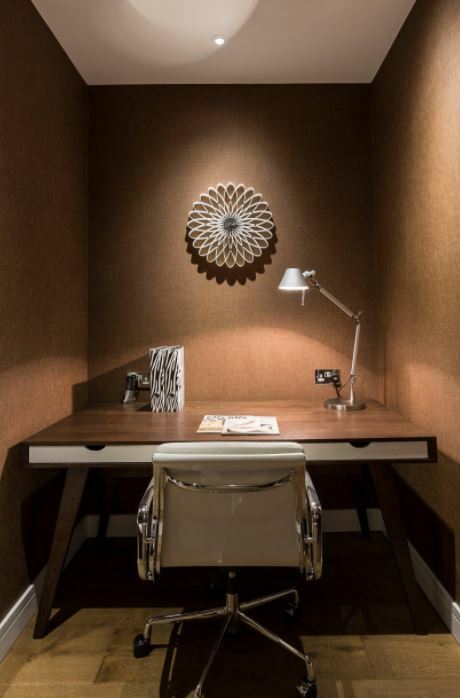 You can have your home office in a separate room or set it up in any space you comfortable with. You can take up a cozy corner of your living room or use a niche in your bedroom. Are you someone who works from home? Then you need your personal work space to keep you motivated and comfortable. When working on a home office design you need to keep some important things in mind. 1. Plan your home office away from high traffic area of the house. Pick a quiet place to stay away from distractions. 2. Invest in a nice desk and a comfortable chair as you would be spending hours sitting on it. 3. Your home office should have a view; you just can’t keep staring at a wall. 4. Make sure it has enough storage space to keep your files, mail and stationery in place. 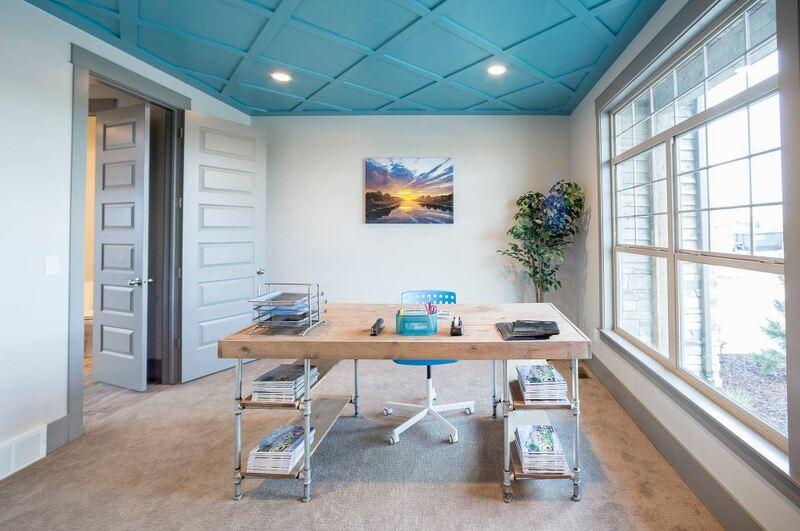 Take your pick from these home office ideas and start designing one for yourself. Give a personal touch to your home office. Go for an elegant all white office. 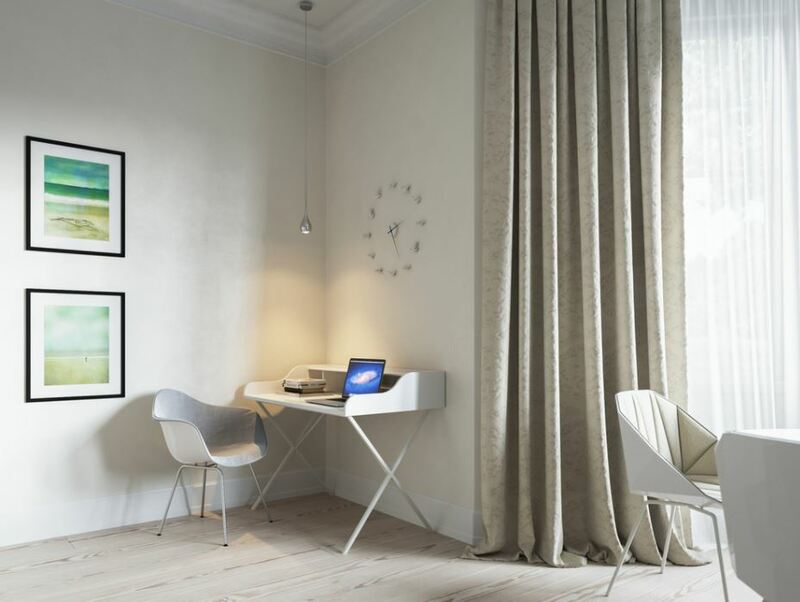 Pick up a sleek desk and decorate the office with wall art and vases. 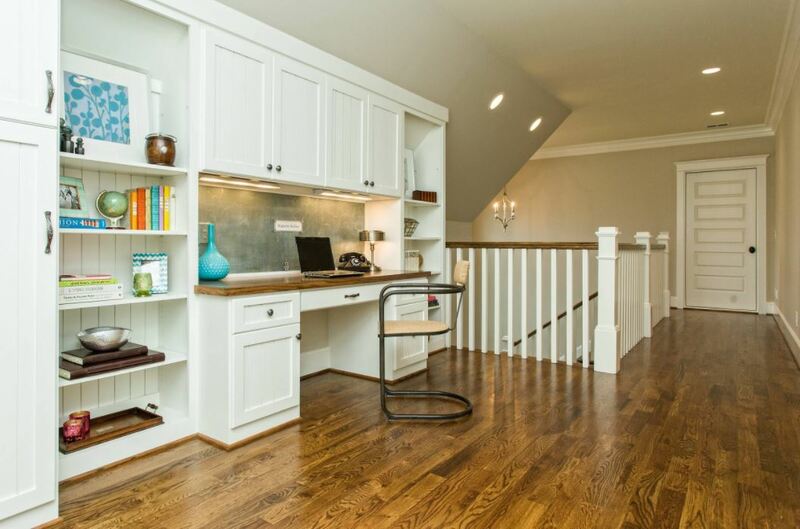 Use the upstairs landing area for your home office ideas. Go for a build-in desk with a lot of cabinets and shelves around for storage. This is a great office with a black and white color scheme. Place the desk in a power position so that you’re in control of everything. The desk should either face the entrance of the office or the area where visitors are sitting. This is a room with a huge window and a fun ceiling. Go for a blue color ceiling and a chair. Add desktop organizers for paper and stationery to keep your desk clutter-free. Turn the corner into a simple home office. Go for leggy furniture; decorate the area with a time piece and wall art. Hang a drop pendant light from the ceiling. The window offers natural light, air and view to the office space. Go for a dramatic office space. 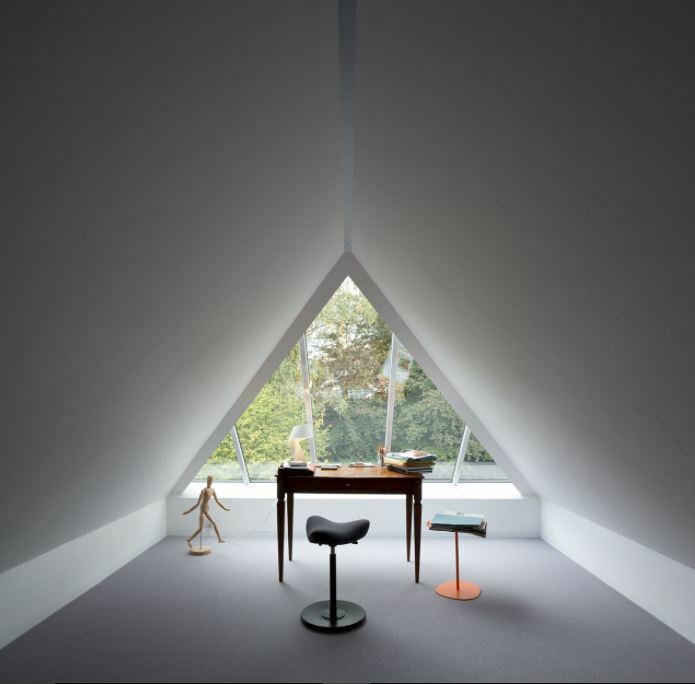 Turn your attic with slanted roof and triangle window into your personal work space. It has a great view and you can spend some lone time working there. Here is a small modern office space. The home office area is warm and cozy. It has some great lighting and it is situated in such a way that you won’t get distracted easily. 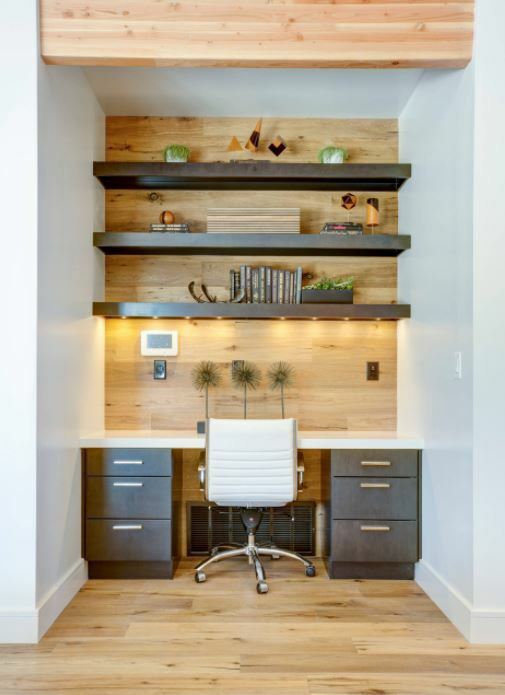 Create a unique work space; go for a cool wall panel with big chunky timber shelves. The desk is lit up by under shelf lighting. 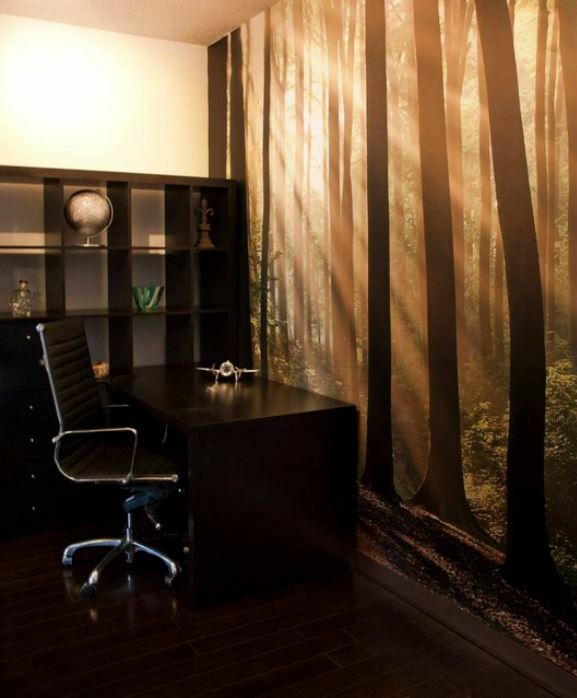 The desk is facing the wall; hence make it interesting by adding wallpaper to it. You can even opt for a mural or a photograph for the same. 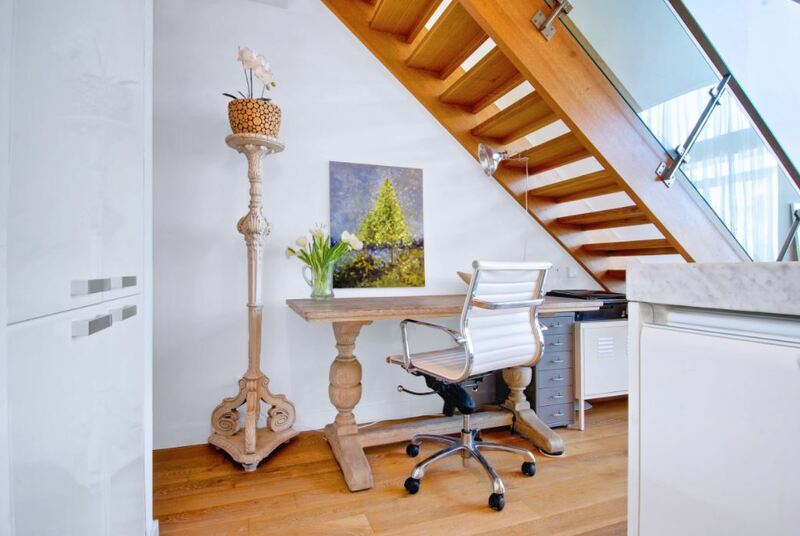 Tuck a small desk and a chair under the staircase to create a small office space for yourself. Turn dead space into something useful. I love the planter and the painting, they are lovely. This entry was posted in Living Room, Trending Now! and tagged Home Office, Home Office Decor Ideas, Home Office Decor Tips, Home Office Design, Home Office Design Ideas, Home Office Design Layout, Home Office Designs, Home Office Ideas, Home Office Ideas for Small Spaces, Home Office Ideas for Two, Home Office Ideas on a Budget, Home Office Setup Ideas, Modern Home Office Ideas, Work Office Ideas by Homemakeover. Bookmark the permalink.